The Wall Street Trading Room will be sponsoring “The Hawk Portfolio Competition.” This competition gives participants an opportunity to learn about investing in a fun, risk-free way. 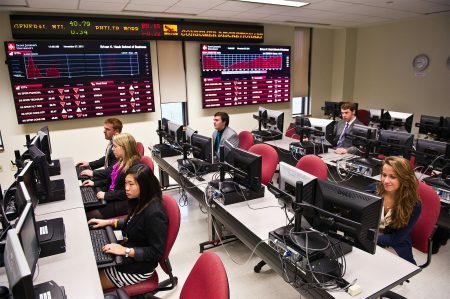 Students will be able to take full advantage of the many resources at the university including the Wall Street Trading Room. Only students at Saint Joseph’s University are eligible to play. In determining the winners, the cut-off date is December 31, 2018. Use an ID so that we can identify you in determining the top 10 winners. If you are a new user, follow the link for a free account.